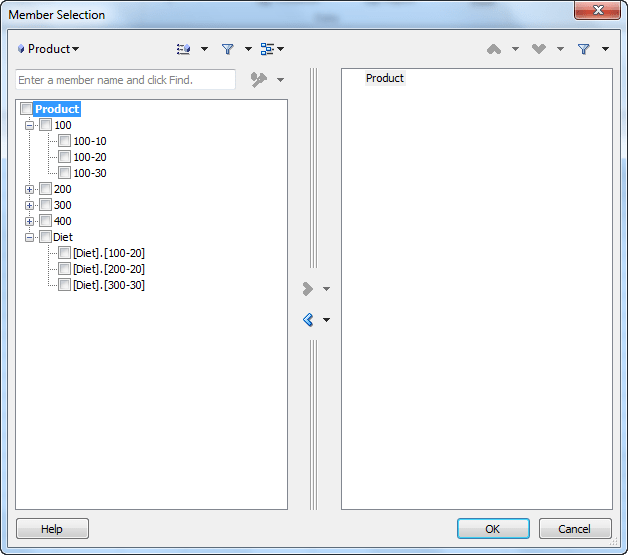 I know that most of you are aware of the term “Fully qualified member names” in Essbase. 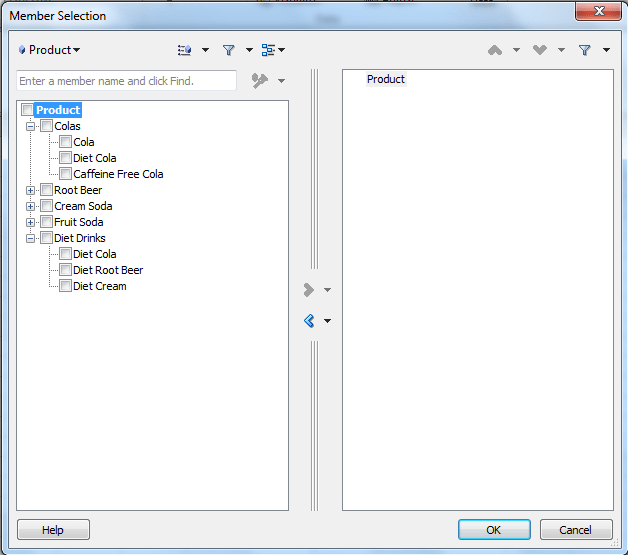 For those who are not go through MDX Syntax for Specifying Duplicate Member Names and Aliases. My first response was “Are you having duplicate members in your outline?”. After posting the answer (question actually) I went back and checked Sample Basic to see what he is talking about. To my surprise what Martin S is seeing is indeed a weird behavior. Let’s see what it is. Nothing strange here. Now let’s change the alias to None. Let’s do the member selection again. Oh yes, the alternate hierarchy is now represented as a fully qualified name. What happens if I use those members in a report? Will I get the correct numbers? The retrieval was done by removing “Preserve Formulas and Comments in ad hoc operations (except pivot)”. (When it is “ON” Smart View interprets those members as comments). I tested the same on 11.1.2.2.000 Essbase and Smart View 11.1.2.2.310 and 11.1.2.2.000 and both returned the same results (alternate were represented as fully qualified). If you are using an earlier version of Essbase and Smart View (pre 11.1.2.2) I would love to know the results. Does anyone know if a ticket has been raised for this? beat you too it – walked oracle support through it and it's been replicated at their end. Bug 17280541 has been created. Interestingly it has to have come through in one of the later essbase patches as it doesn't exist in 11.1.2.2 vanilla from our testing. We're currently thinking it was introduced in patch 11.1.2.2.103 – but the behaviour ALSO exists in 11.1.2.3. Can you please send me link to this bug in oracle site. We recently upgraded to 11.1.2.2. I want to do more research before conforming it as a bug to my client. @Kevin : Is there any work arounds?? We have migrated our applications from 9.3.1 to 11.1.2.2 and we tried using the 11.1.2.2 Smart View with 9.3.1 Essbase and we never had this kind of an issue. We tried on 11.1.2.2 Essbase and we don't see any of such issue. Interestingly, I can confirm we have some clients on 11.1.2.2 (vanilla) that do NOT have the behaviour. I thought it was an essbase patch – but I'm now not sure. I've been told that a bug 17280541 has been created, can't find it in the bug database yet (probably hasn't been confirmed by the dev team). No known date on that yet, but 103 has been out a couple of months already. I'm trying to chase up why 17280541 isn't showing up in the Bug DB yet. 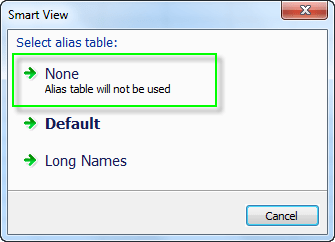 Alias for shared members is not displayed when alias is set to Default. Still no word on a the patch date for 11.1.2.2 – figure they wanted to patch the latest version first. It got fixed in 11.1.2.3.001,just applied and tested it. Guys I have an issue with Alias in my application which the aliases appear in smart view but don't appear in web application just member name . i am using version 11.1.2.3 . Is any one face same issue before ??? I take that you mean Planning web, are you using Alias in the form properties? How can I eliminate duplicate result in SmartView?